Renters are in a good position to negotiate as 40 per cent more residential units are forecast to be handed over in Dubai this year, compared with those completed in 2018, with developers accelerating work ahead of Expo 2020, a real estate report found. “With rents at 2010 levels and seemingly endless options for both buyers and renters, there’s a big silver lining to this ongoing correction,” said Lukman Hajje, chief commercial officer at Property Finder. A total of 47,502 apartments, villas and townhouses are set to be completed this year, based on figures from Dubai Pulse, the open-data platform initiative from the Smart Dubai office, and compiled by real estate portal Property Finder. The research found that at the end of 2018, 13,520 units were under construction with a 95 to 99 per cent completion rate, plus 33,982 units that were at least two-thirds done. The total residential supply for 2018 totalled 28,890 units. Increased supply, especially as developers work to complete projects before Expo 2020, is likely to result in further price declines, according to the Property Finder Trends report. “While many believe we are in a slump and property prices will go back to pre-2016 levels, the reality is that with the considerable amount of supply already released into the market, and the upcoming supply through 2022, the prices we are experiencing today are the new normal,” said Lynnette Abad, director of research and data at Property Finder. 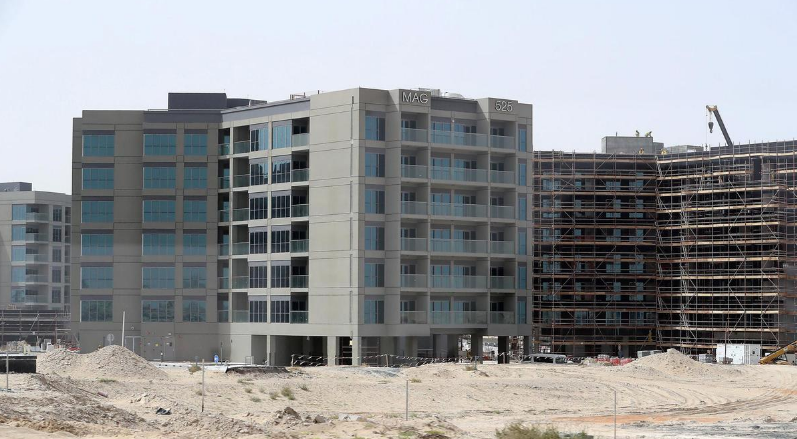 The south-east and south-west parts of Dubai are experiencing the most activity, with ongoing developments such as Emaar’s Mira Oasis in the Reem gated community, which will have about 1,400 units handed over. Some of the handovers in 2018 included properties in Business Bay, Burj Khalifa, Jumeirah Village Circle, Dubai Properties’ Arabella project in Mudon, Remraam, Nshama’s Town Square and Motor City. Off-plan transactions, or those purchases made before construction is completed, represented half of Dubai’s total sales transactions in 2018. While the overall volume of property sales was down 14 per cent, compared to 2017, there was a 12 per cent rise in secondary sale transactions and a 33 per cent increase in mortgage registrations. In the second half of 2018, the most popular areas to buy a home were Dubai Marina, Downtown Dubai, Palm Jumeirah, Arabian Ranches and Jumeirah Lakes Towers.